The WHL crop of players that make up the 2015 NHL draft class is a strong one. There are a lot of skilled forwards, tough defencemen and quality netminders from the Western League that NHL clubs will have a chance to add to their organizations. Earlier this week our audience was introduced to Red Deer Rebels forward Grayson Pawlenchuk. Today, another Edmonton area product has submitted his first entry to his season long draft blog. St.Albert native Matteo Gennaro of the Prince Albert Raiders is now in year two of his WHL career and took the time to introduce himself. His blog is after the jump. The Canadian Hockey League is facing a pair of lawsuits that could forever change the face of major junior hockey as we know it. An unprecedented class action lawsuit striking at the economic foundations of junior hockey in Canada alleges the Canadian Hockey League and its teams “conspired” to force young players into signing contracts that breach minimum wage laws. A statement of claim filed in a Toronto court Friday and obtained by the Star, seeks $180 million in outstanding wages, vacation, holiday and overtime pay and employer payroll contributions for thousands of young players given as little as $35 a week for practices, games, training and travelling that could add up to more than full-time hours. The second lawsuit comes from a former CHL goalie named John Chartrand who appeared in 61 OHL games over the course of three season. As detailed by TSN's Rick Westhead, Chartrand is seeking $12M from the OHL's Barrie Colts for whom he played his first 16 OHL games for from 2009-2011. John Chartrand is suing his former team for $12 million, alleging in court documents that Colts medical and team officials cleared him to play in games mere days after he was in a violent car accident that required him to be hospitalized. I highly recommend reading both stories before proceeding with the rest of this blog entry. 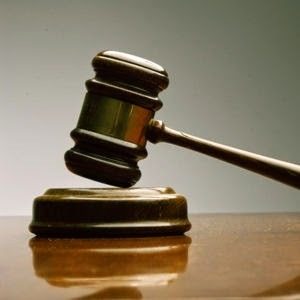 Yesterday on The Pipeline Show, Dean Millard and I invited TSN Legal Analyst Eric Macramalla to come on an go through the lawsuits from his expert perspective. We wanted to know if either case will stand up and if so, what the ramifications for Major Junior hockey and beyond might be. Certainly the CHL won't be the only level of competitive hockey affected and is it possible that other team sports might fall under the same umbrella should players moving forward be classified as "employees"? 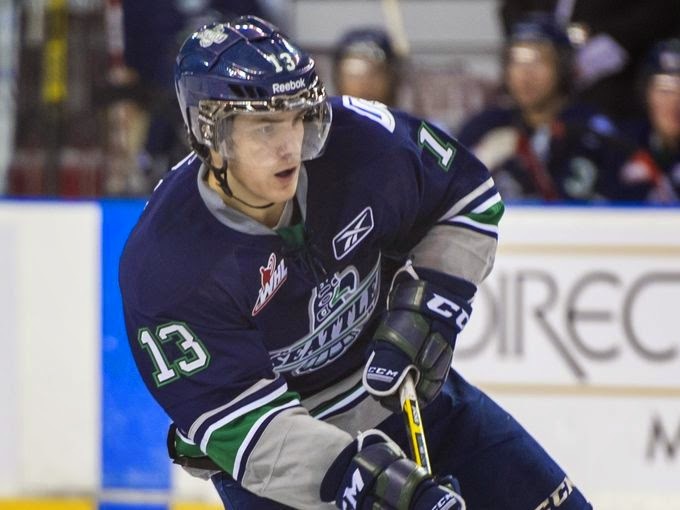 Last night on The Pipeline Show we welcomed the top ranked 2015 eligible player from the WHL to the show as our Draft Spotlight feature; Seattle Thunderbirds forward Mathew Barzal. The Vancouver native discussed the parallels of his career to that of Ryan Nugent-Hopkins, the reasons it took a year for him to sign with Seattle, the pressures of being the 1st overall pick of a franchise that hasn't tasted success in years and of course we covered the 2015 NHL Draft. Barzal was an excellent interview, one of the best in recent memory of players put in the Draft Spotlight on our show. In particular, his answers about the upcoming NHL draft and whether he feels "lost in the shuffle" while the hype is all about Connor McDavid and Jack Eichel. Our exclusive interview with Mathew Barzal from The Pipeline Show comes after the jump. Our tradition of having draft eligible players appear as guest bloggers continues for 2015. We've spoken with a few players already who have verbally agreed to penning their thoughts with us throughout the 2014-15 season and the first guest blog came in this weekend. The Red Deer Rebels will be a must-see team this year for NHL scouts because the club boasts four players who were rated on the early season Preliminary List from NHL Central Scouting. We're thrilled to announce today that one of those players has come on board as one of our guest bloggers this year. Grayson Pawlenchuk hails from just outside of Edmonton and was an "In Studio" guest this past July with a couple of other local WHLers who are now in their NHL draft season. After meeting and speaking with the Rebels forward that day, it was obvious that he was a player who we wanted to extend the invitation to. After the jump, the first entry this season from Red Deer Rebels forward Grayson Pawlenchuk. This weekend on The Pipeline Show in our regular Draft Spotlight segment we had the chance to introduce fans to a top power forward in the Class of 2015. 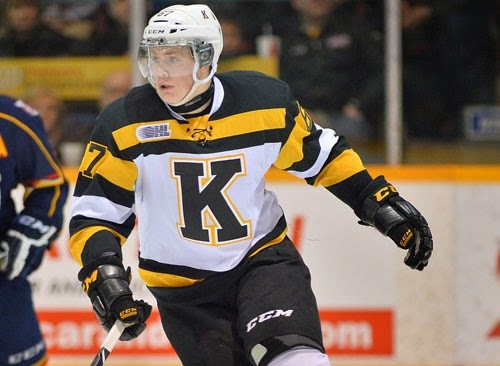 Lawson Crouse is in his second year with the Kingston Frontenacs of the OHL and he appeared on the show Saturday after a 6-4 defeat of the Plymouth Whalers the night before. Our conversation with Lawson Crouse is after the jump. 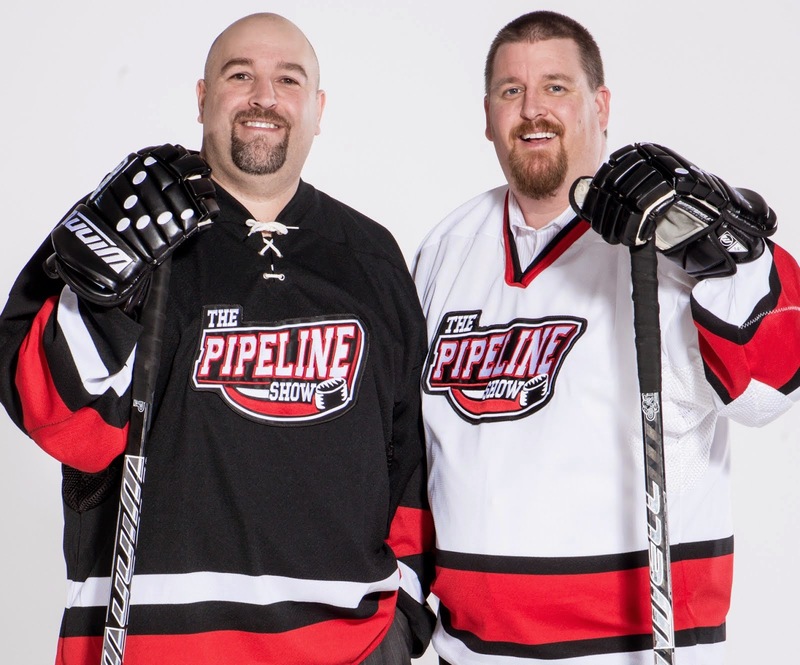 A regular feature on The Pipeline Show is our Draft Spotlight segment where we introduce hockey fans at large to a player they should know ahead of the next NHL Draft. Last night our guest was the consensus top ranked defenceman available in the Class of 2015, Noah Hanifin. The freshman at Boston College spoke at length with us about a variety of topics including why playing for the Eagles was the right NCAA choice. Also, how much of a temptation playing for a Memorial Cup with the Quebec Remparts. That and much, much more after the jump.